Strawberries are making their way back in season. With a dollop of mascarpone cheese and a drizzle of port wine reduction, we can't think of a better way to enjoy these sweet, sweet berries. As the weather warms up, fresh strawberries start making their way back into stores and farmers markets. While we have no problem eating them straight out of the container, it's also nice to use them in something a little more fancy. Like this dessert where strawberries are topped with mascarpone cheese and drizzled with a port wine reduction. Yep. It's as fantastic as it sounds. Add port wine, orange and lemon zest and cinnamon stick to a medium stove pot. For the vanilla bean, scrape the inside of the bean pod with a small paring knife and add the vanilla seeds to the pot before also placing the whole bean in there. Turn the heat on to medium-high and bring the port wine mixture to a boil. 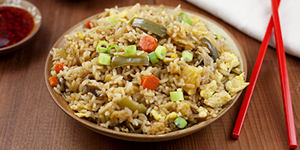 Reduce the heat to medium-low and let the mixture simmer until it is reduced down by about half and has a syrup consistency. Turn the heat off and let the port wine reduction cool. Remove the vanilla bean and cinnamon stick before using. When ready to serve, layer sliced strawberries in small bowls and top with a spoonful of mascarpone cheese. 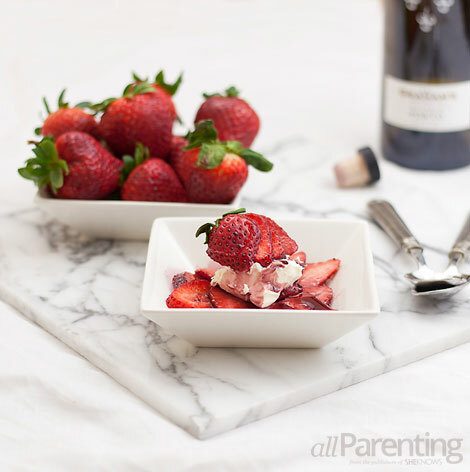 Drizzle the port wine reduction over the strawberries and cheese and enjoy!